From garlic cuisine celebrations to 21st-century opera, from stand-up comedy to standing-room-only shows, events in Bloomington are diverse and energetic. Our top picks for Bloomington&apos;s most unique annual events showcase the range of experiences you can find throughout the year. Whatever you do, just get out there and make some memories. From its humble beginnings as a Sunday afternoon concert on the front porch of the Mathers Museum of World Cultures to the four-day music and arts festival that encompasses several blocks in the downtown area, the Lotus World Music and Arts Festival is the perfect opportunity to experience the world through a global lens. As Indiana’s only world music festival and one of the oldest festivals of its type in the US, in the last 24 years Lotus has hosted artists from over 125 countries — everything from Ethiopian jazz to Estonian violin and Polish pop to Algerian brass. Mark your calendar and plan to attend the 25th annual festival September 27-30. 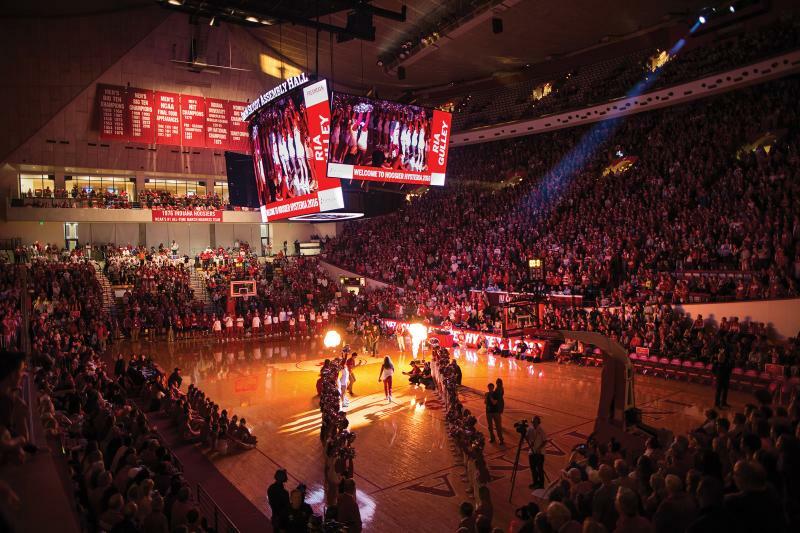 For fans of Indiana University basketball, there’s no better way to kick off the official start to Hoosiers basketball season than attending Hoosier Hysteria each October. Roars of applause fill Simon Skjodt Assembly Hall as players from the men’s and women’s teams are introduced, ooh’s and aah’s are heard during the slam-dunk and 3-point shooting contests, and fans catch a glimpse of what’s to come during the two short scrimmage games. So put on a pair of the iconic candy stripe pants and a lucky jersey and join 17,000 of your closest friends for this storied Hoosier fans tradition on October 20. Not only is it Indiana’s first comedy festival, it’s also one of the biggest in the Midwest and listed in the top 12 nationally-ranked comedy fests. If Limestone Comedy Festival isn’t currently on your radar, it should be. 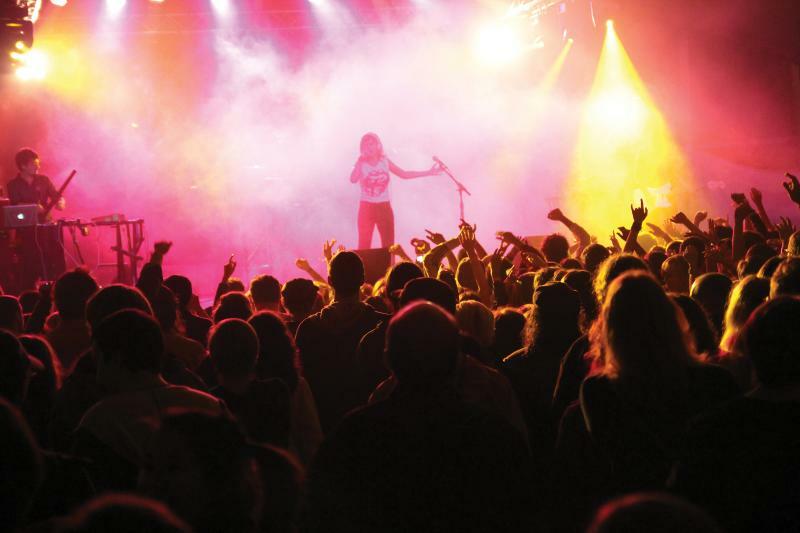 LCF is quickly rising to the top of the list in terms of iconic Bloomington events. 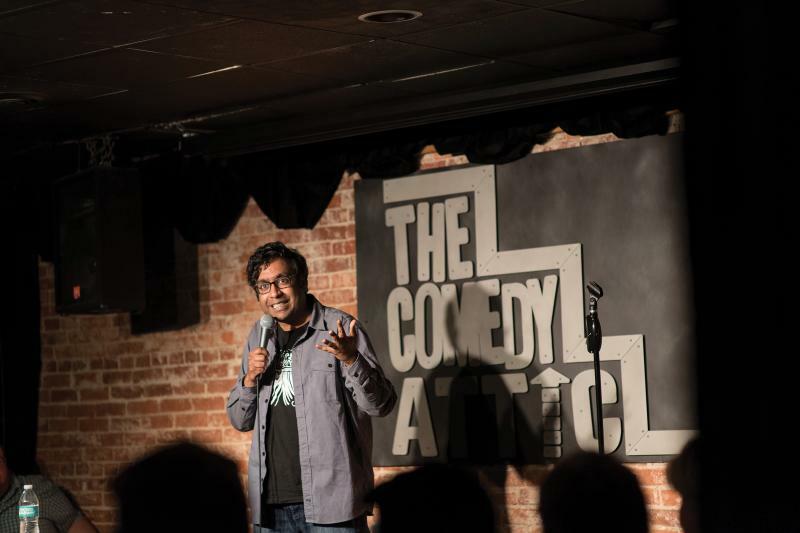 This 3-day, 5-venue, 30-show with 60+ comedians comedy fest will leave your face muscles sore from smiling and your sides hurting from laughing too much. Be sure to leave room in your schedule to enjoy the Blooming10, a showcase of ten local stand-ups that’s been a cornerstone of the fest since its inception. Limestone Comedy Festival celebrates “the greatest weekend of your life, volume VI” May 31 – June 2. 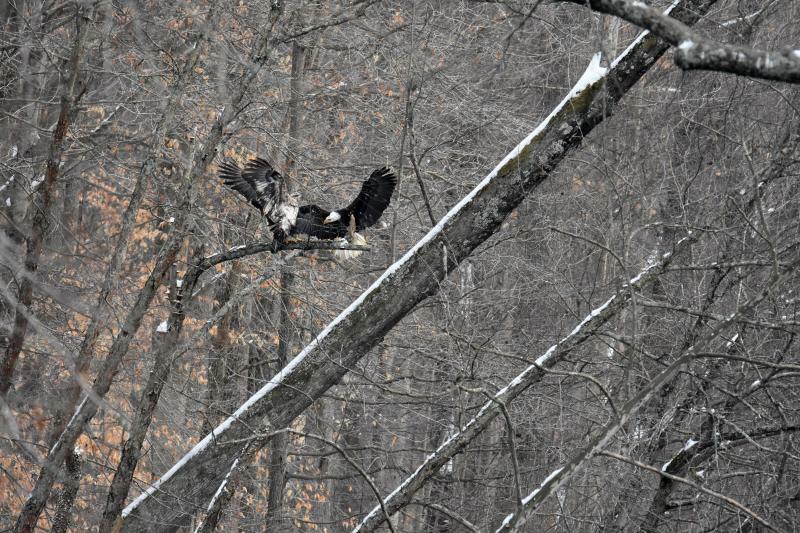 The Monroe Lake area is a well-known, thriving home to the national bird of the United States, thanks in large part to a successful bald eagle reintroduction program in the 1980s. Each winter Bloomington celebrates this majestic bird of prey with a two-day event known as Eagles over Monroe. 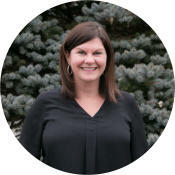 In addition to public tours around the lake to see bald eagles in their natural habitat, attendees meet live raptors and bird enthusiasts expand their knowledge during presentations by well-known researchers and ornithologists. A perfect winter event for adults and children, beginners, and experienced birders, Eagles over Monroe takes place January 26-28 at the Fourwinds Lakeside Inn and Marina. In the summer of 1975, Bloomington hosted its very first official farmers’ market with 23 vendors. Fast forward 44 years, the Bloomington Community Farmers’ Market is well-known as a must-attend event each Saturday April-November. Enjoy the hum of live music, scents of freshly baked bread wafting in the air, and laughter of friends old and new. 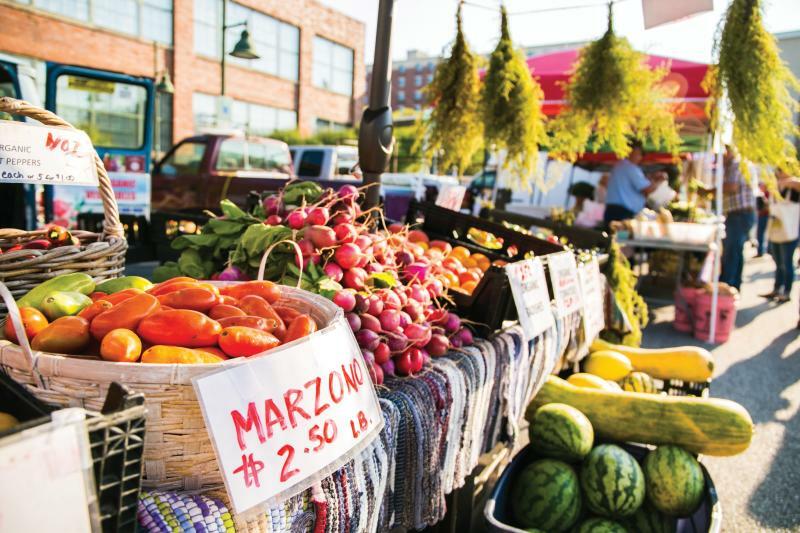 Over 100 vendors await residents and visitors alike with the season’s freshest bounty. So grab a cup of coffee and a breakfast treat from a prepared vendor’s booth and enjoy the experience. The positive energy and friendly vibe of the market is sure to set anyone’s weekend off to a great start. Indiana’s #1 farmers’ market opens for the season on April 7. Start summer off with a bang by sampling your way through 40 of Bloomington’s best restaurants and sipping the latest creations from local breweries and wineries in one place. 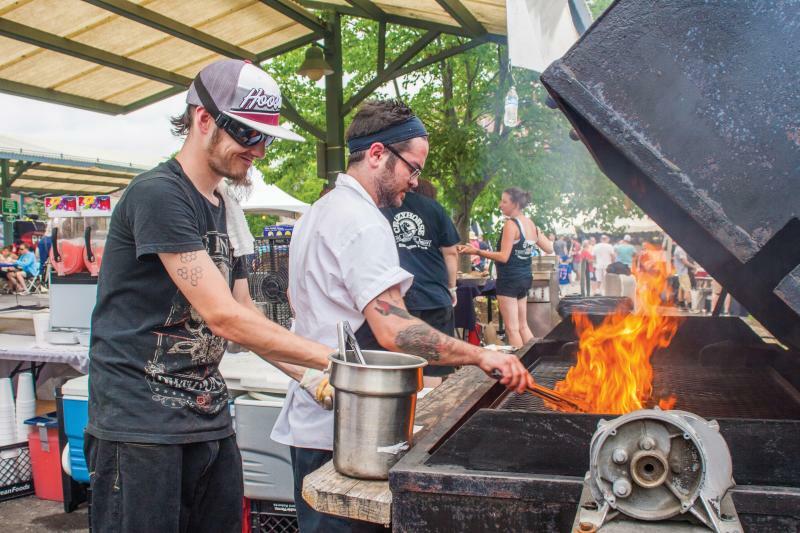 The Taste of Bloomington, one of Bloomington’s most beloved events, is held each June at Showers Common in downtown Bloomington. In addition to food and drinks, attendees have the chance to listen to two dozen live music performances on two separate stages. The Taste also offers several kid-friendly activities like face-painting and bounce houses. Put on your dancing shoes and your favorite pair of stretch-waist shorts and electrify your senses at the 36th annual Taste of Bloomington on June 23.